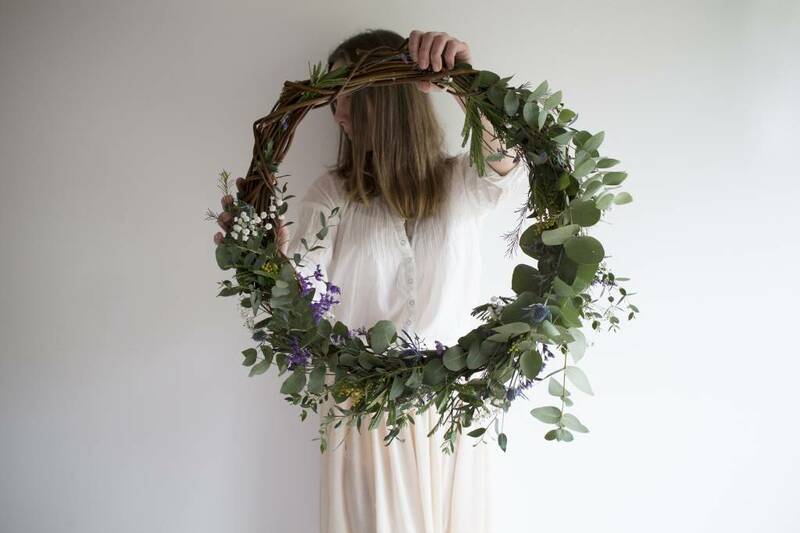 Wreath Yngmar stands for the natural power of spring to come to life after a long winter nap. 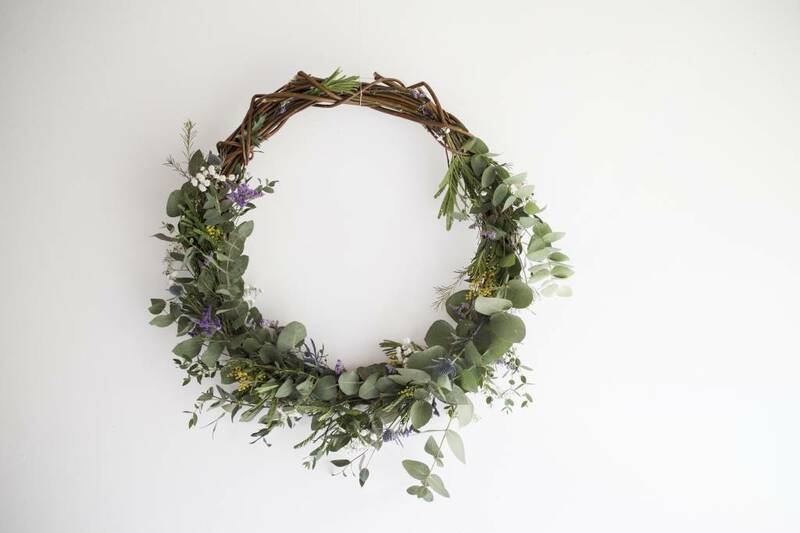 Beautiful green and blue colors dominate in this wreath. 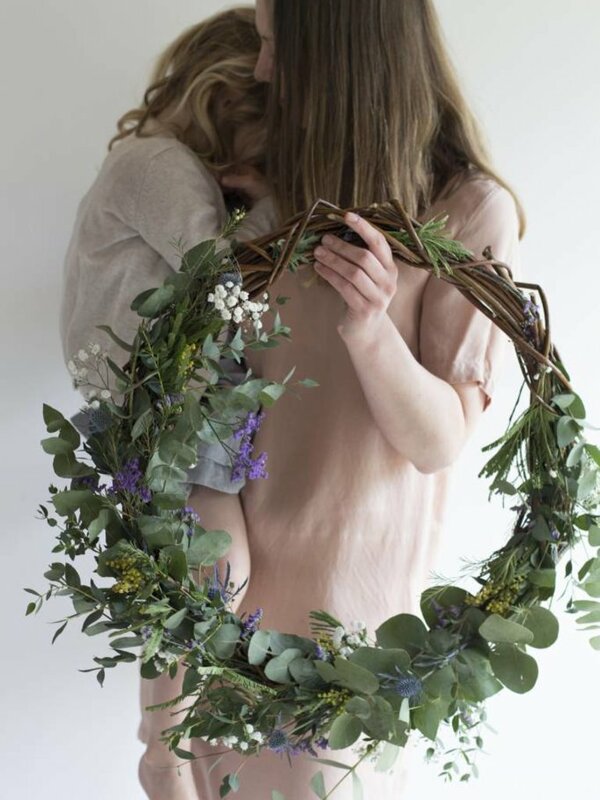 The subtle flowers that are part of this wreath symbolize the start of spring blossom and give you energy. 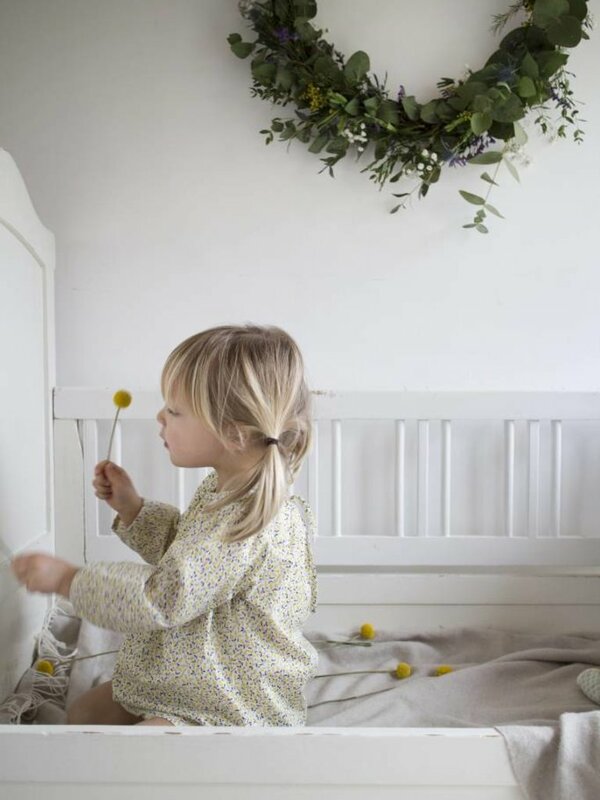 Wreath Yngmar makes you ready for the fresh and colorful spring and summer days to come! 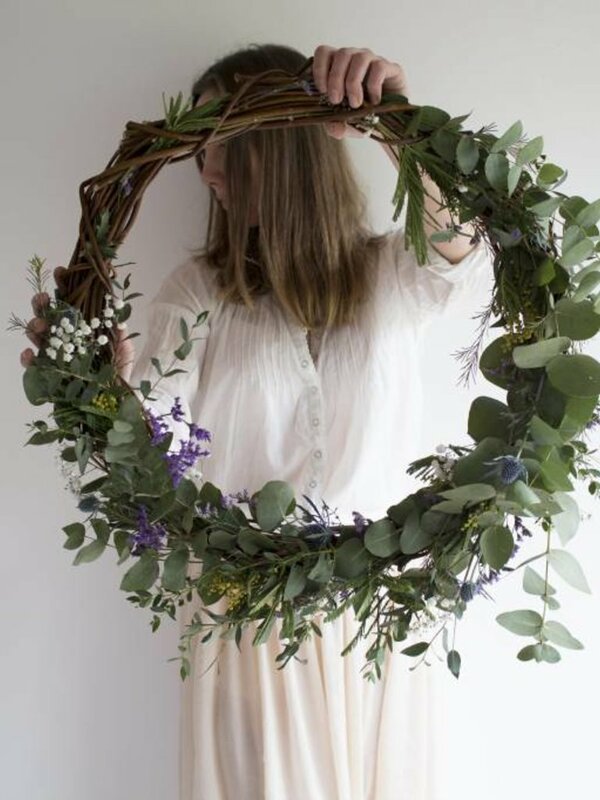 The basis of the wreath is made of woven willow. 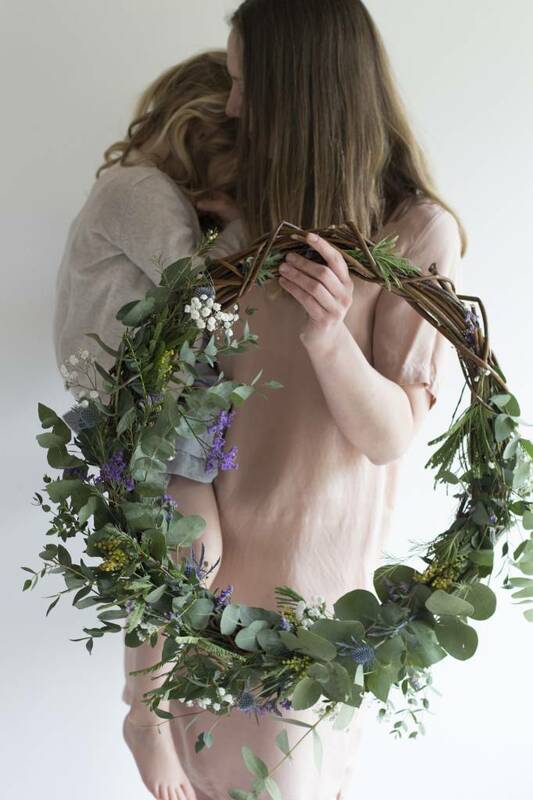 The willow wreath is styled with loads of green Eucalyptus and pretty flowers. 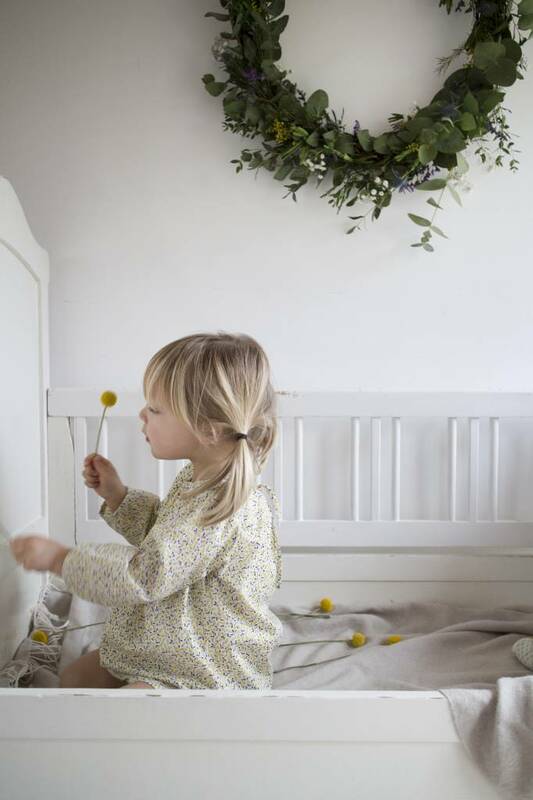 Eucalyptus is a durable branch and keeps its beautiful colour when dried. In addition, the Eucalyptus gives a lovely scent. 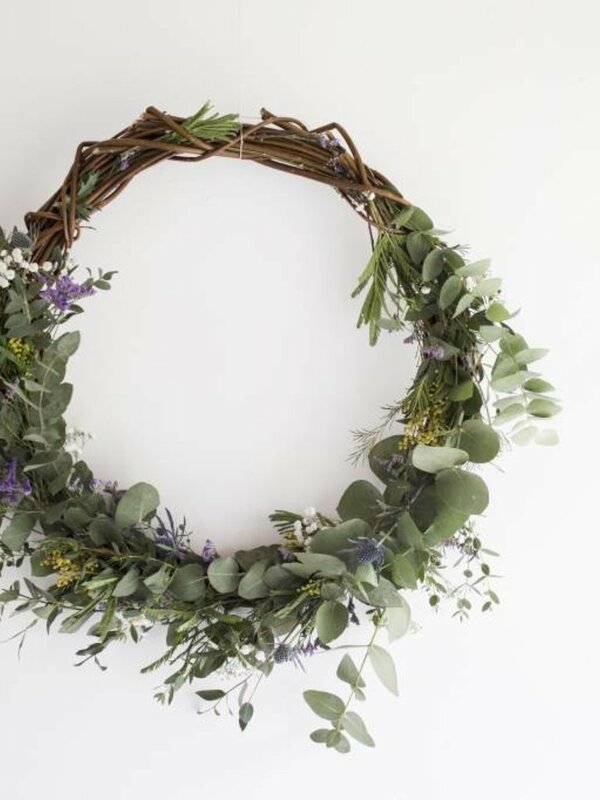 All around the wreath, different flowers are processed, such as Thistle, lavender blue Limonium, yellow Mimosa branches and the cutest white Baby's-breath.